At the end of December, Kinross Tasiast helped provide health care through a mobile clinic campaign to communities living around the mine. 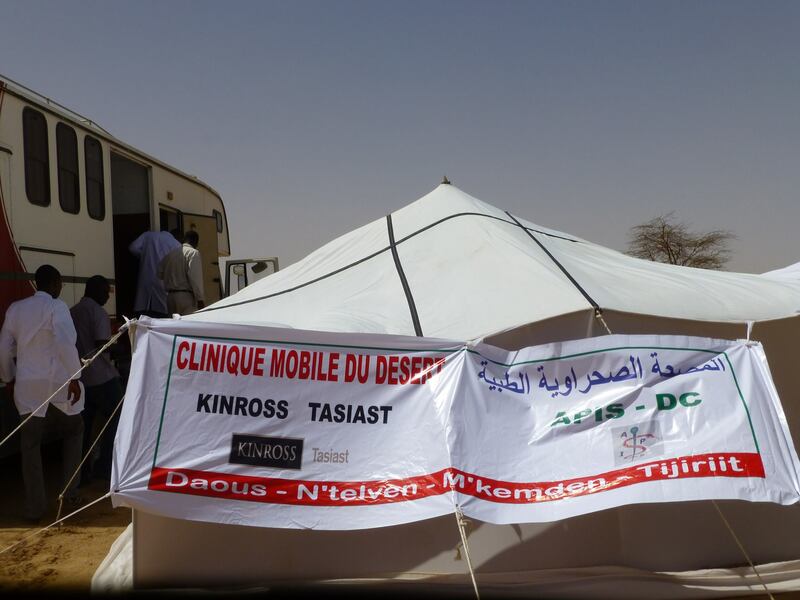 Tasiast partnered with the Mauritanian non-profit organization APIS-DC to give 4,500 free health check-ups using nine vans that were turned into mobile medical clinics. These services are essential for the remote communities in the desert where there is limited to no access to healthcare. Through the program, the local areas of Dawass, Imkebden, Intalve, Noumghar, Chami and Boulenoir received specialized medical services such as blood tests, ultrasounds and cardiograms. Medication was also distributed to patients. Tasiast has been supporting free local mobile medical care campaigns since 2013.